We offer graduate coursework and professional development in all these areas. Graduate students interested in a specific area can click the relevant link above for information about admissions and coursework. To learn more about degree programs, visit the Graduate Catalog. Undergraduates who major in English or Film Studies work with the major advisor to design a concentration - a program of study organized around a controlling theme or topic. Though concentrations are tailored to your specific interests, many fall within one or more of these research and teaching areas. Explore area pages and schedule a meeting with your advisor to learn more. 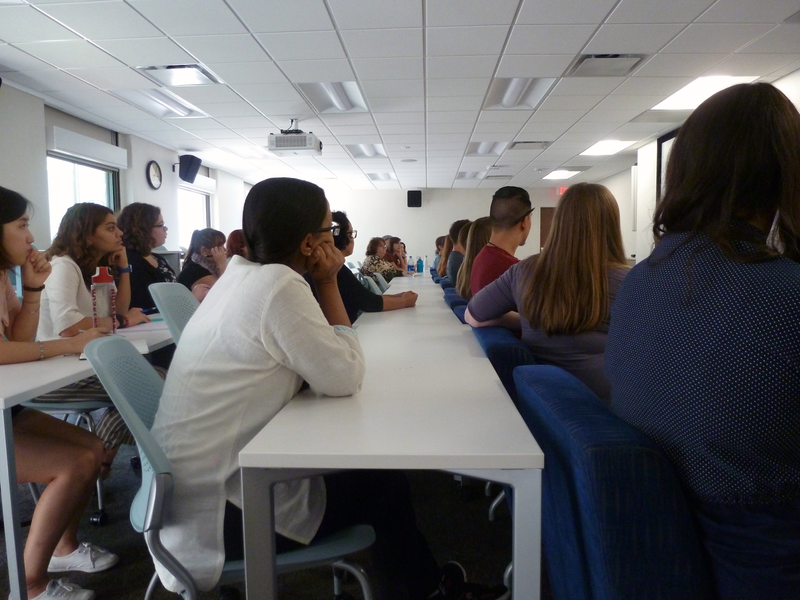 Many faculty and graduate students of the Department of English are actively engaged (and/or joint appointed) with interdisciplinary academic programs. In most cases, graduate students of English can earn Area of Specialization Certificates related to interdisciplinary programs. Interested undergraduate English majors can design a concentration in one of these areas with a help of their major advisor. These interdisciplinary programs host symposia, conferences, outside speakers, panel discussions, and other activities in which department faculty and students often participate.